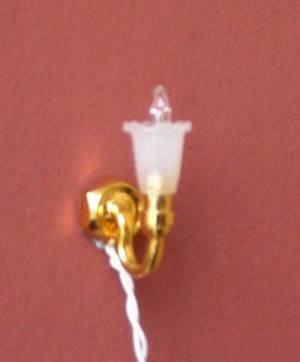 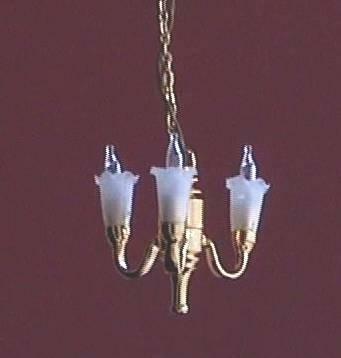 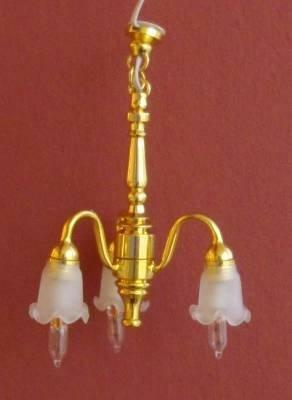 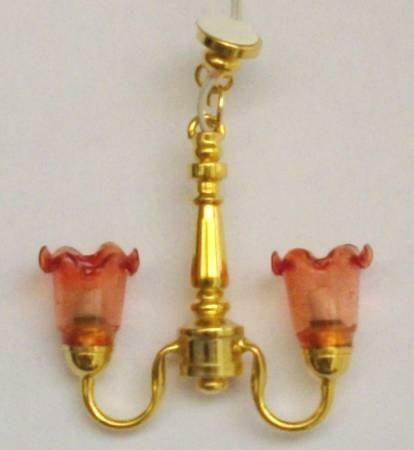 1/24th scale miniature dolls house double tulip wall light. 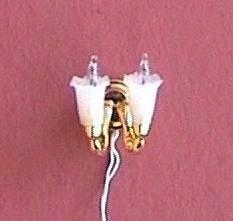 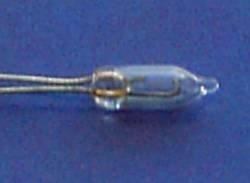 Includes wire, 2 x 12v candle bulb and 2 pin plug. 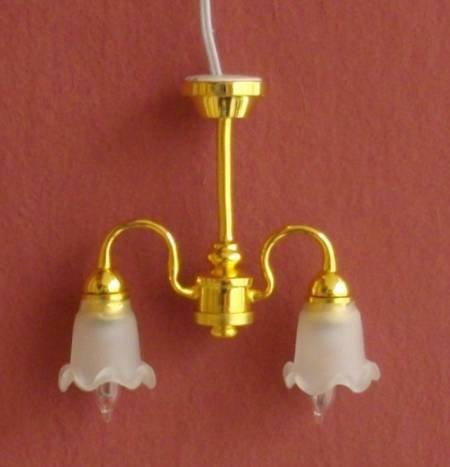 See below for more lights with tulip shades.